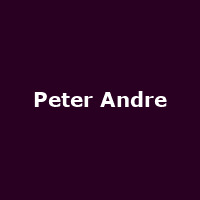 Where to start with Peter Andre? So much, too much, has been said about the kindly Aussie already. He's been hot, very hot, very not, lukewarm and then not and, finally, hot again. His private life has, in large part, been played out in the pages of various publications and TV channels, sometimes at his request, sometimes not. Whatever his choices, and the critical and popular response to them, there remains a sense that he is doing his best to be one of the good guys. Amidst all the hyperbole and 'ordinary bloke' interviews, it gets forgotten that Andre is a (surprisingly) successful musician. He's had three No 1 singles in the UK; 1996's 'Flava' and 'I Feel You', and a 2004 re-release of the ab-tastic 'Mysterious Girl'. He's had another seven top ten singles and a No 1 album (1996's 'Natural'). He's sold a million records in Australia alone, more here. After a slot supporting Steps at Hamilton Park Racecourse in July, Peter Andre kicks off his Up Close & Personal tour in Plymouth on 16th November. Previously scheduled to end before Christmas, another eight dates have now been added extending the tour into 2013. The extra shows begin in Cambridge on 10th January, followed by Swindon, Bristol, Leeds and more, before the final date at the Doncaster Dome on 19th January. We will have tickets available for the additional dates from 10am on Friday 20th April, priced around £28.50. We also have tickets available now for the original tour dates, costing about the same.